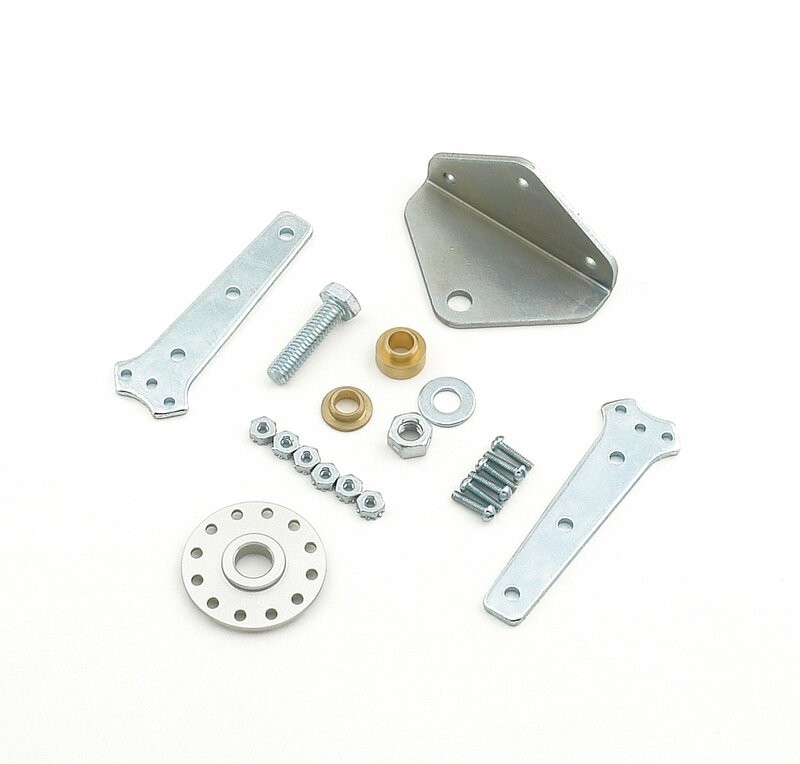 This bell crank kit features 12 mounting holes for multi-arm positioning and can be used in either push or pull type throttle linkages. Center hole is 1/4" dia. for easy mounting.